I do so enjoy starting with a word from myself. Checkout the link after this example image of the moon which I have provided in the event that your hair parents have raised you to use the hair on your head as shoelace, and thus you have never before seen the Moon. It gets bigger, I promise. LINK –> Public-domain image. A new 24,000-pixel-square mosaic from NASA’s Lunar Reconnaissance Orbiter shows the Moon’s nearside in great detail. Though it is quite detailed, it does not show the lunar landing sites. The Lunar Reconnaissance Orbiter Camera has pictures of this… but you still have to use your imagination. Better yet (worse yet? I don’t know), perhaps you’re a reeeeal sicky, and when you think of the remnants of what was probably the collision of two planetary bodies that so created the present Earth and its orbiting Luna, the Moon which gives to us reflected sunlight at night, tides, and teen werewolves? Note: I allow digressions only for Michael J. Fox, Terry Fox, or The Fantastic Mr. Fox (a really excellent film). … after having looked at what 9 minutes of link sharing can do, I really ought to get back to work, or put myself to bed. I’ll leave you with one last video either of the moon, or a child truly having a music experience (it’s probably a video of the moon, just to warn you). 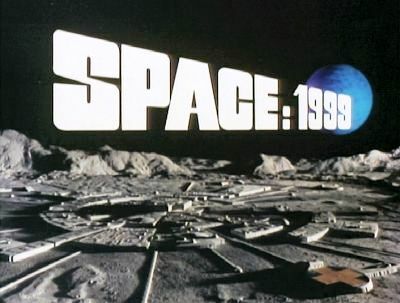 This entry was posted in film, Space, television, Uncategorized and tagged 0.58 Gigapixel photo of the Moon, A Trip to the Moon / Le Voyage dans la lune - 1902, film, killer rabbits, lunar landing sites, monty python, photography, space, Space 1999, teen wolf, television, the moon, werewolves. Bookmark the permalink.